A compressor room must be considered a unit and a complex solution must be offered, and this is what we have been doing for over 20 years. 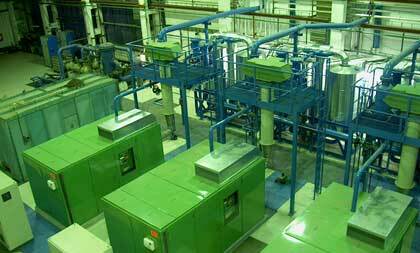 We design and realise compressor rooms in compliance with the customer’s requirements so that all the specifics of the given application are taken into consideration. When creating a design we consider not only the actual volume of compressed air required, but we also take into consideration fluctuation of demand for compressed air over time, air quality requirements, the option of having back-ups for individual machinery and also the energy required for compressed air production. In the endeavour to utilise electricity as effectively as possible we also consider the possibility of using waste heat in recuperation exchangers, suitable use of own technology for treating compressed air or modification of compressed air mains, which will achieve surprisingly large savings, in spite of the initially higher and possibly unexpected investment. We realise turnkey compressor rooms, i.e. from project documentation, through realisation, to subsequent guarantee and post-guarantee servicing. We also offer various supplementary services, such as measuring compressed air consumption. Don’t hesitate to contact Atmos if you require professional services.